My other half finally created a play-set for his son. This time, he finally started to build it in our backyard. I took photos for remembrance, so we can see the before and after of his work. Because he's been very busy at work during summer, he can’t finish building the whole play-set in just a month. And even until now, there are only few things he finished before the whole play-set will be complete. Sounds like a great project! I'm sure your son will enjoy it for years to come onces it's complete! 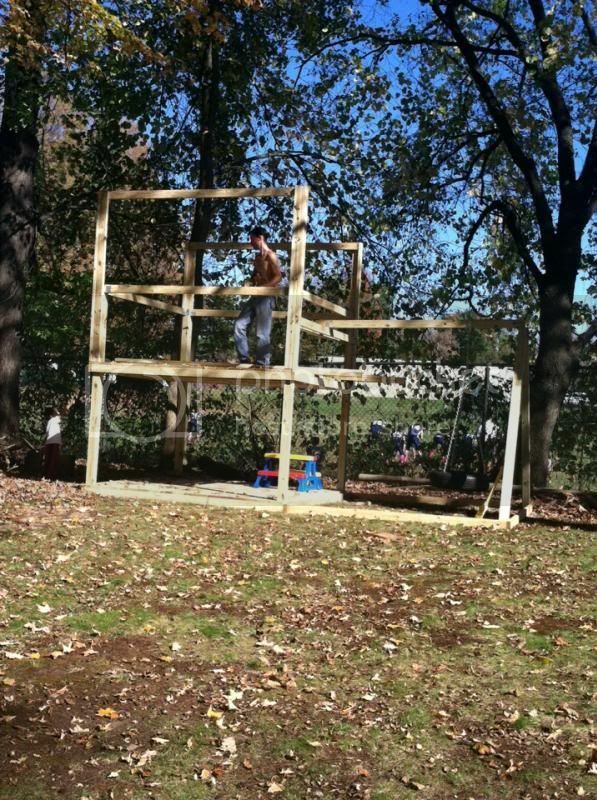 I am sure, this playhouse will look good. Your kiddo must be very excited. It looks like it is going to be a huge play area, I cannot wait to see it when it is complete. It's nice that your husband is a handy man, it saves money to build your own. I wish my man is that handy. I would love for my kids to have their own play set in our backyard. That's nice!